The Air Jordan 3 "Black Flip" is quite a special rendition of Michael's 3rd signature sneaker. Straying away from the normal format the sneaker portrays, the sneaker features a few different things that make it so special. 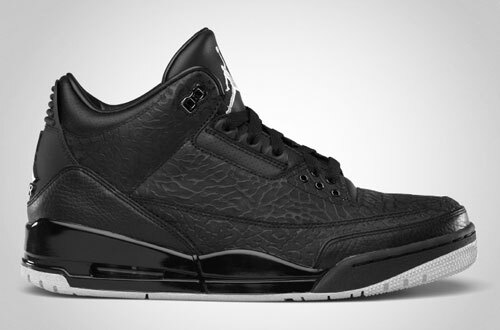 In this iteration of the Air Jordan 3, the sneaker is decked out in an all black upper. The difference between this pair is that in place of the leather upper, an elephant print covers the entire canvas while the tumbled leather is in place of the print's normal spot, hence the name "Black Flip."